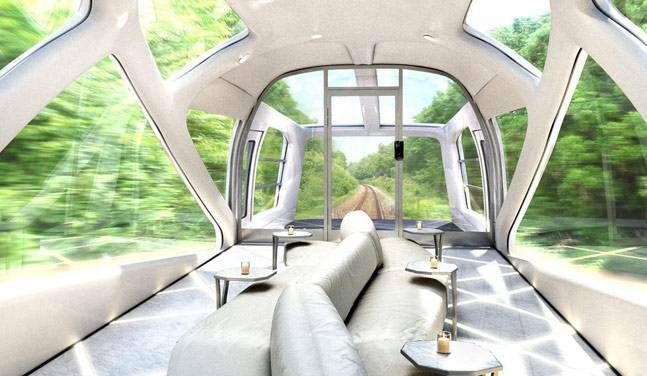 Home luxurious train Pay Rs 6 lakh to travel on the world's most luxurious train? 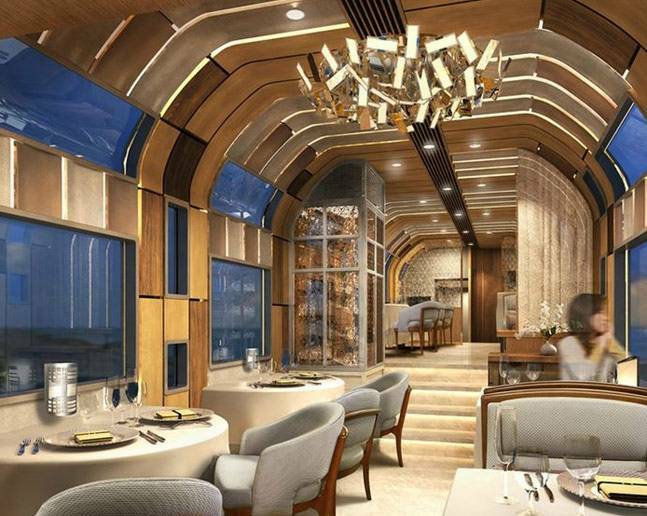 Pay Rs 6 lakh to travel on the world's most luxurious train? Even before you consider taking a ride on Japan's uber-cool luxury train, know that the tickets have already been sold out till April 2018. East Japan Railway has launched a new deluxe 10-car sleeper train, Shiki-Shima. And given its features, it can ideally turn out to be the world's most luxurious train. Running for a three-night/two-day itinerary from Ueno in Tokyo to Hachinohe, the 10-coach train runs on 3ft 6in gauge lines, with a maximum capacity of 34 passengers. Five of the 10 coaches are standard suites. Three of them offer comfortable beds with a bathroom and toilet. The other have two deluxe suites, where you can also relax in the cypress wood bath. At either ends of the train, there is a glass-walled observation car for sight-seeing, besides a lounge and a dining car with Michelin accreditation. Of course, the menu keeps changing to reflect the flavours of the region that the train is passing through. The lounge has its own piano bar, that would be played amidst walls and windows depicting a 'quiet forest'. And once you finish dinner, be ready to be entertained by a live performance of the traditional Japansese 'Dance of the dead'. 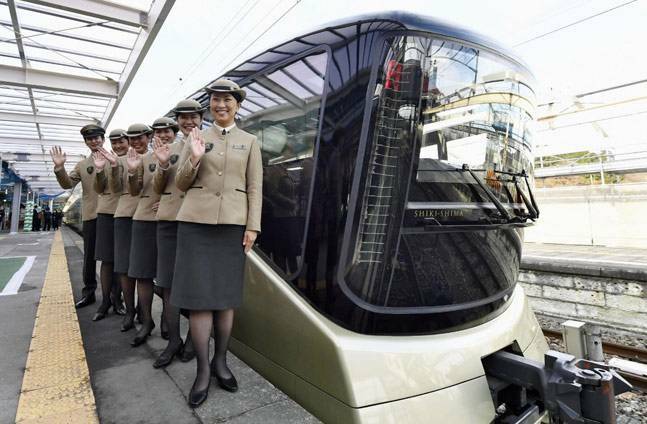 The train has been designed by Ken Okuyama, of Porsche-Ferrari-Maserati fame. It's not just the train, but the entire experience of the journey exudes an avant-garde look. To add to the deluxe comfort, a new Harry Potter-style platform 13 1/2 has also been built at Ueno station, for the train suite's exclusive use. Customers boarding this train are shelling out fares worth 2,200 to 10,000 Dollars (up to Rs 6.4 lakhs) - which is way too expensive, even by the standards of luxury trains. The train rolls on through the night to Hachinohe, on the Pacific shore almost at the northern tip of the island of Honshu. Here, oddly, passengers transfer to a different luxury train, the Tohoku Emotion, which has “an open kitchen where you can watch your food being prepared while you wait”. This train trundles along the coast to Kuji, where passengers disembark for a sightseeing trip. The bedrooms are more like hotel rooms than train cabins. After the return to Hachinohe and re-boarding the Shiki-Shima, dinner is served as the train meanders south to Naruko-onsen, a spa town set amid mountain scenery. After immersion in the “hot springs village”, passengers retire to their luxury suites. The train slows to a crawl for the short overnight journey to Ichinoseki — prospective home for the International Linear Collider, a scientific research project which could help the search for dark matter. Passengers will be taken by bus to neighbouring Hiraizumi, home to a Unesco-listed temple complex. Back on the train, one more lunch is served as the train returns to Tokyo.